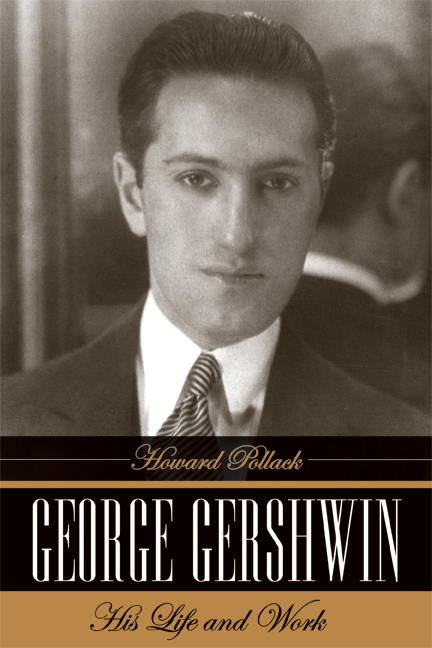 This comprehensive biography of George Gershwin (1898-1937) unravels the myths surrounding one of America's most celebrated composers and establishes the enduring value of his music. Gershwin created some of the most beloved music of the twentieth century and, along with Jerome Kern, Irving Berlin, and Cole Porter, helped make the golden age of Broadway golden. Howard Pollack draws from a wealth of sketches, manuscripts, letters, interviews, books, articles, recordings, films, and other materials—including a large cache of Gershwin scores discovered in a Warner Brothers warehouse in 1982—to create an expansive chronicle of Gershwin’s meteoric rise to fame. He also traces Gershwin’s powerful presence that, even today, extends from Broadway, jazz clubs, and film scores to symphony halls and opera houses. Pollack’s lively narrative describes Gershwin’s family, childhood, and education; his early career as a pianist; his friendships and romantic life; his relation to various musical trends; his writings on music; his working methods; and his tragic death at the age of 38. Unlike Kern, Berlin, and Porter, who mostly worked within the confines of Broadway and Hollywood, Gershwin actively sought to cross the boundaries between high and low, and wrote works that crossed over into a realm where art music, jazz, and Broadway met and merged. The author surveys Gershwin’s entire oeuvre, from his first surviving compositions to the melodies that his brother and principal collaborator, Ira Gershwin, lyricized after his death. Pollack concludes with an exploration of the performances and critical reception of Gershwin's music over the years, from his time to ours. Howard Pollack is John and Rebecca Moores Professor of Music at the University of Houston. Among his books are Aaron Copland: The Life and Work of an Uncommon Man and John Alden Carpenter: A Chicago Composer.